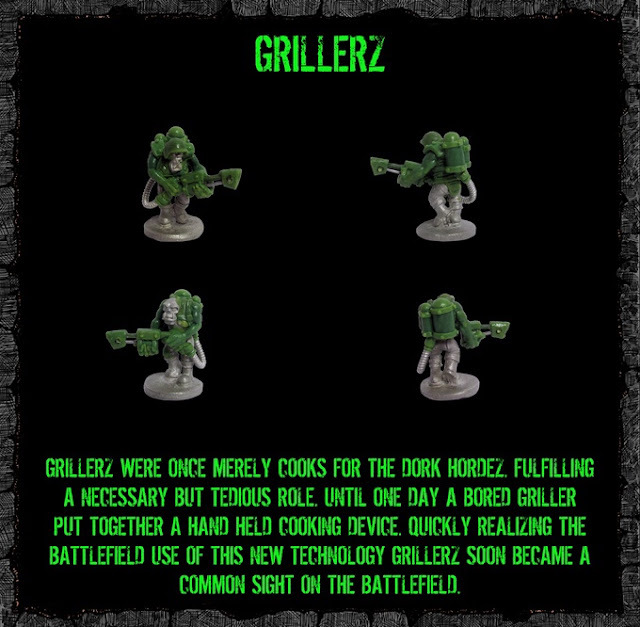 The latest Kickstarter campaign from SLAP Miniatures has just launched, and this time it's the turn of the greenskins, or Space Dorks. I'm a big fan of the SLAP Minis 15mm ranges, even the Global Defence Force, which some complained were too small (I will use them as a non-human race. A kind of beardless half-dwarf).The sculpting has been excellent and detailed without too much fussy stuff, and the casting is also clean and crisp. 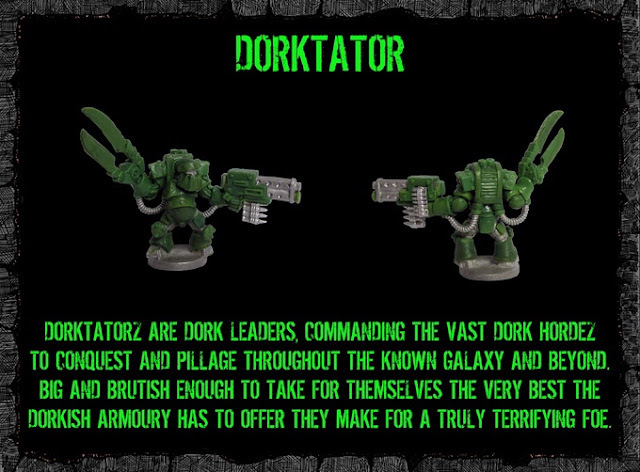 The Space Dorkz look to continue the tradition, with some stunningly characterful models with suitably vicous looking weapons. They have a great Commie-Space-Chimp look to them, which gives them a bit of a retro look. The Kickstarter campaign has again been kept simple. 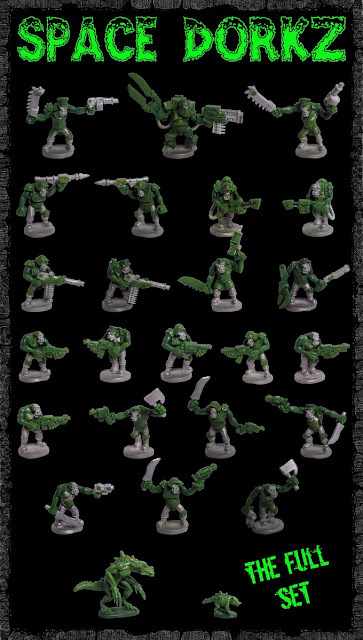 They come in sets of 25 models and you can buy multiple sets, with multiple sets getting you increasing numbers of free (random) minis up to a full free set if you buy 5. These last two are the lizard and little beastie in the picture above. Also available are the Space Knights and GDF minis from the previous Kickstarters, because the Dorks will need some opposition. Space Dorks "They Don't Look Dorky"
Nice write up, cheers Ralph.